3) Free bottle of Testosterone, Libido, or Estrogen / Progesterone is applied during checkout as a discount. Looking for the best way to naturally improve your health without spending a fortune? At ProBLEN we aim to give you homeopathic supplements and hormone boosters at prices that won’t bust your budget. From sourcing our ingredients to our manufacturing process, we’ve stood behind the quality of our products for more than twenty years. We want to partner with you in the fight against the unnecessary side effects and symptoms of aging. Want to save even more money on ProBLEN products? The best way to save even more money is to purchase our combination packages. 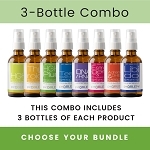 We’ve created bundles of products we know work well together, to help you improve your well-being at an even more affordable price. 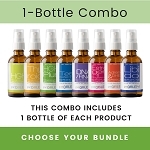 Want to choose your own product bundle? You can do that too. Choose a few of your favorite ProBLEN boosters or create a bundle of products for you and a loved one so you both can live young and age well! Special Discounts for Those In Uniform! We offer special discounts for police, firefighters, and members of the military. To show you our appreciation for your service, you can buy our hormone boosters at special low rates unavailable to the general public. At ProBLEN we know those who serve face unique physical challenges and stresses. Our desire is to help men and women in uniform remain strong, healthy, and ready for action. To access these special offerings, visit the Military, Police, and Firefighter section below. 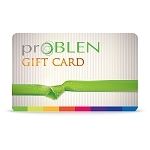 Keep checking back for more specials from ProBLEN!